Talk about Indian desserts, homemade halwa comes to mind! For many, it’s a quick-fix for satiating their sweet-tooth. I remember my mother making a quick sooji or atte ka halwa that we generally enjoyed after lunch. The piping hot sweet and satisfying halwamade our day and how! 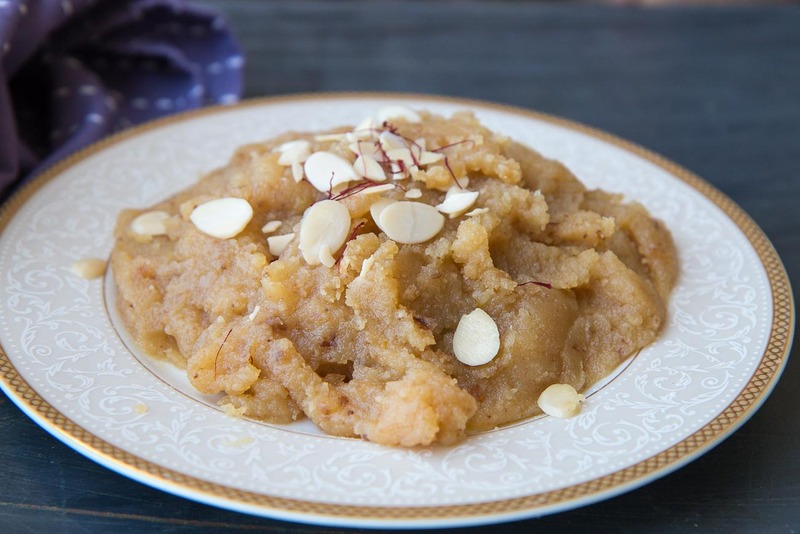 Halwa is a dense sweet confection that’s popular across the Middle East, South Asia, Central Asia and West Asia and has different names too; some of which are alva, helva, aluva, halua and chalwa. Interestingly, there are more than 20 types of halwas devoured in different parts of the country; ranging from pineapple halwa to khus khus halwa and chana dal halwa and more. We have compiled a list of these halwas and their recipes that you can try at home. We promise this will be a mouth-watering journey! Made with whole wheat flour, this delicious halwa is widely made during festivals like Navratri; it’s not like you need an occasion for this sweet. A simple and quick recipe, this one’s an amazing treat. Ground walnuts along with cucumber seeds roasted with sugar, cardamom and milkmakes for a healthy dessert (read: less guilty). This delightful sweet is definitely made for people who love nuts and seeds. Khus khus or poppy seeds are generally used in making curries, breads, cakes and cookies. Who knew it could also be used to make desserts like halwa. 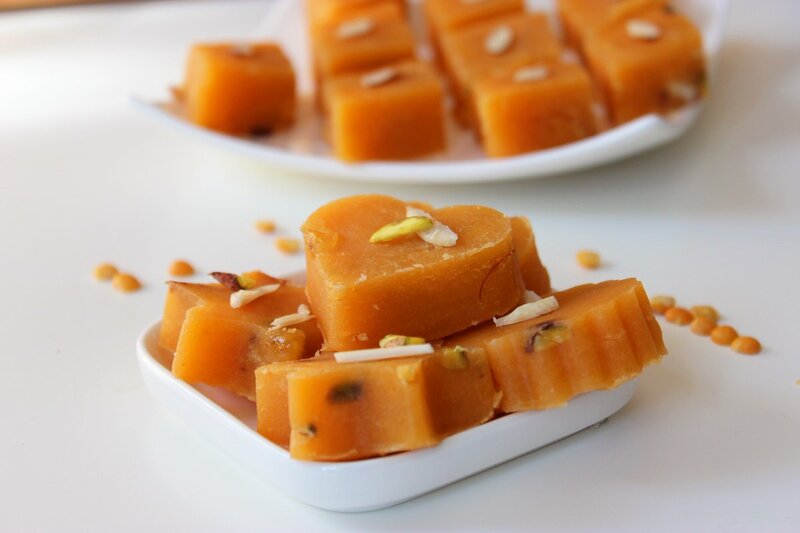 The ingredients you’d need to prepare khus khus halwa would include khus khus, ghee, milk, fox nuts or makhane, cardamom powder, ghee, nuts and sugar. 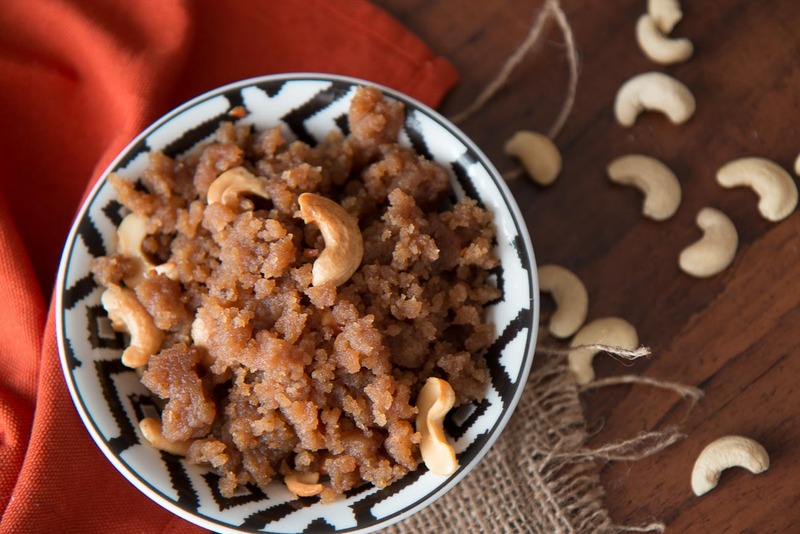 Sooji halwa makes for one of the most common and widely prepared halwas in Indian households. It is mostly prepared during Navratri for Kanjak poojan, wherein it is served along with dry kala chana and pooris. Soaked ground chana dal is sautéed and then prepared into a rich and heavy halwa, topped and flavoured with cardamom and saffron. Almonds are blanched and peeled; then cooked with desi ghee till they turn brown. It’s a perfect way to end your meal. All you’d need is almonds, sugar and ghee; voila! Your badaam halwa is ready to be savoured. Potato lovers, if you haven’t tried aloo ka halwa, then are you even a potato lover? If you wish to try it out, we have got you covered. A dessert popularly devoured in Uttar Pradesh, this recipe is pure love. You’d need boiled potatoes, ghee, sugar, milk, cashews, almonds, cardamom and raisins to prepare this wonderful dessert. 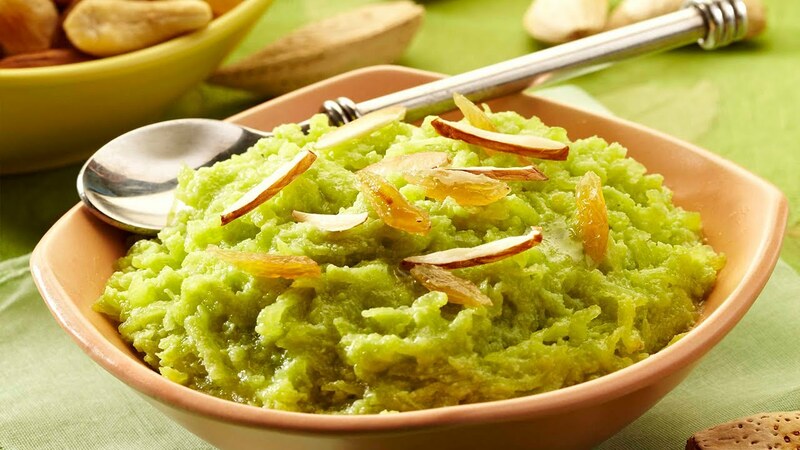 Doodhi ka halwa is prepared using lauki or bottle gourd, butter, jaggery, soy milk and nuts. This one makes for a great dessert for summers. Enjoy the goodness and warmth of dates or khajur along with cashew nuts and elaichipowder. The healthy mix of dates and nuts is surely a health enthusiast’s cheat day treat! A chewy dessert loaded with the goodness of almonds, pistachios and other dry fruits. Preparing it may be time-taking, but we promise you, it will be worth the effort and time. 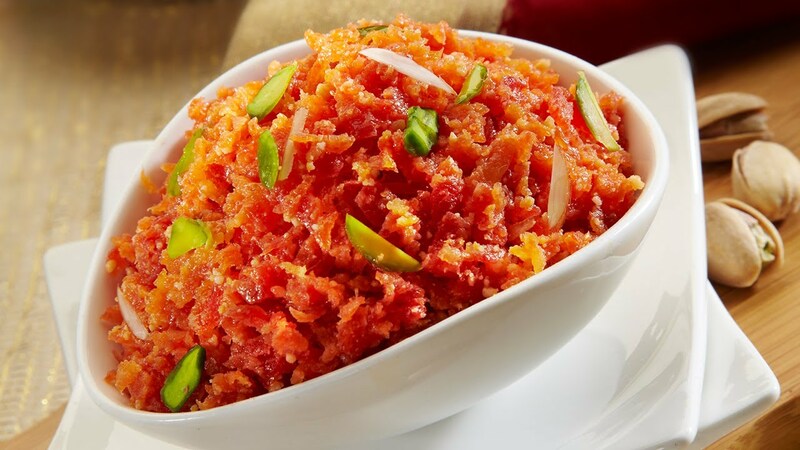 Come winters and we can smell gajar ka halwa in the air. Known to have originated in Punjab, it’s made with carrots, khoya, ghee, sugar and nuts. A winter afternoon, a cosy corner and you enjoying a bowlful of moong dal halwa; heavenly, isn’t it? 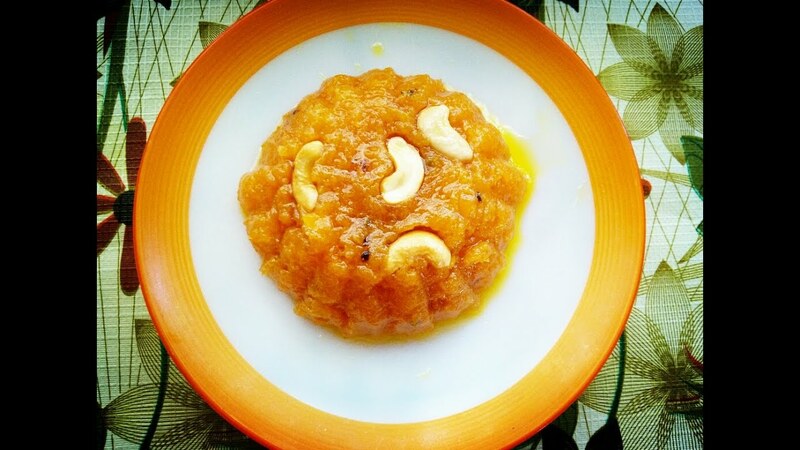 Unique and an uncommon halwa recipe prepared with hara chana or cholia, cream, khoya, sugar, milk, and nuts, this dessert is amazing! 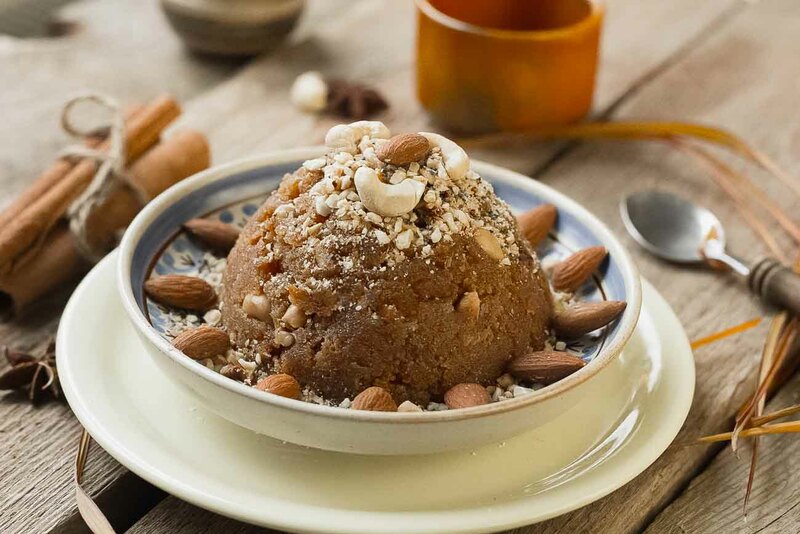 Singhara atta or water chestnut flour halwa is usually prepared during fasts, but as we said earlier, you do not need a reason to prepare such delights. 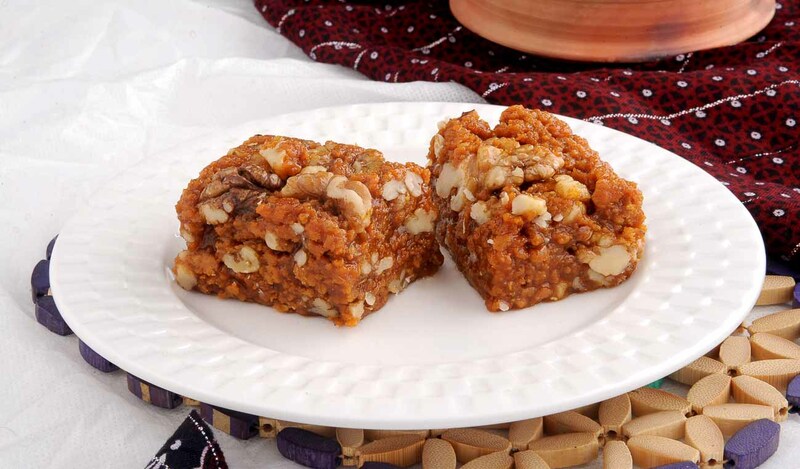 A delicious halwa made with the goodness of pumpkin, cinnamon, water, coconut, almonds, sugar and butter. This halwa will definitely leave you asking for more! These amazing halwa recipes are the key to your sweet tooth cravings! Do let us know which one did you like the most.